Switzerland, January 2012: a group of experts has gathered in a luxurious villa on the shores of Lake Lugano. Powerful corporate elites have commissioned them to design a strategy to save capitalism at a time of financial, social and ecological crisis. “How to win the Class War” is the product of the expert group’s work. 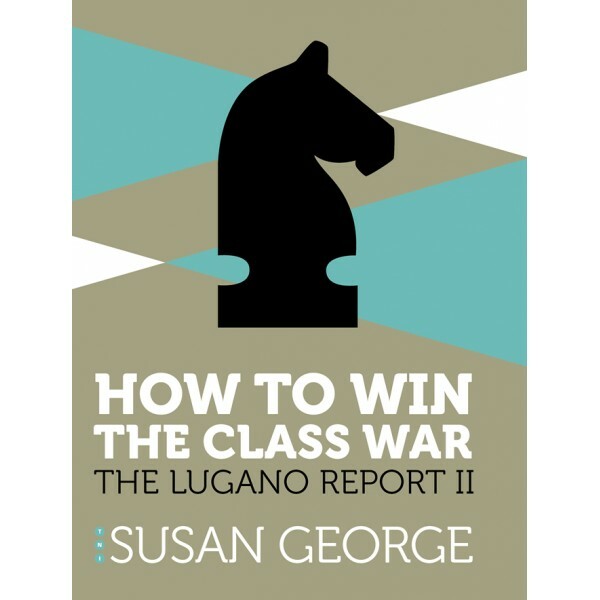 If you have ever wondered what it's like to be in the shoes – and the minds – of the guardians of the capitalist system, Susan George can give you the key. “How to win the Class War” is a ‘Factual Fiction': the facts are based on solid research, but the fictional setting and the story told from the expert's point of view make you feel as though you're reading a political thriller. George’s first “Lugano Report” was published in 1999 and translated into 15 languages. “How to win the Class War”, is its sequel and brings the story up to date. This is the sixteenth book by renowned author and scholar Susan George and provides further compelling evidence of the devastation wreaked by corporate globalisation. More valuable than countless earnest reports, George's ‘factual fiction' is not A “conspiracy theory” but a cold-blooded assessment of the dangerous and cruel logic of the world's political and economic elites who will do whatever it takes to protect their short-term interests. “Over the years, Susan George’s powerful writing has opened many people’s eyes to the realities of global capitalism. Now she shows us how and why the rich and powerful of the North continue to win the class war. The trenchant sarcasm of this tract has a purpose: to shake us into understanding the true nature of the beast. ” Jayati Ghosh, Professor of Economics at Jawaharlal Nehru university, New Delhi, and Executive Secretary of International Development Economics Associates (Ideas).